One NFL Network host believes the Buccaneers will do big things in 2017. 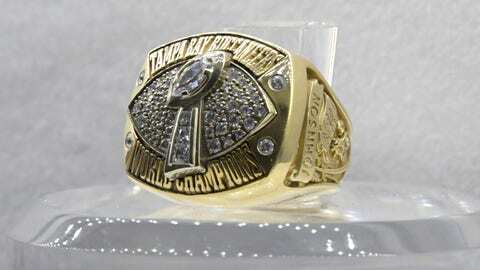 Remember when the Buccaneers won that ring in the picture? Jon Gruden brought his knowledge of the Oakland Raiders with him, and they absolutely destroyed Rich Gannon that night. What a special night for the team from Tampa Bay. Bucs Nation is forever grateful for that group of young men finally bringing home the title. Well, what if the Bucs won another one? Imagine what that might feel like. It will be especially sweet with this group, as we have watched a young nucleus that includes Jameis Winston and Mike Evans grow together. It is nice to see the Bucs finally getting respect from somebody. The national stage has been silent about the for so long, it’s great that the situation is finally starting to change. That being said, however, we all know that Harrison is asking a lot here. You could put a big circle around the running back situation. For the Bucs to have any chance of making that statement come true, Jason Licht and company are going to have to figure that out. That’s not even mentioning who will be opposite Mike Evans, and the improvements needed in pass defense. That is not to say he is wrong about the direction of the team. He is absolutely right there. He is just asking for a major step from out of the playoffs to Super Bowl champions in one year. But, you never know. It could happen. The playoffs certainly aren’t out of the realm of possibility, and once in the playoffs, anything can happen.